What is the Senior Capstone Project? The Senior Capstone Project at Shenandoah Valley Governor’s School is a project and class completed by every SVGS student during his or her senior year. The Capstone Project’s purpose is to wrap up what a student has learned and experienced at SVGS and apply this information in the form of an independent study, service-learning project, mentorship, or any combination thereof. In the process of working on their projects, students enhance their learning outside of the traditional classroom experience. A student usually conceives an idea for their capstone based on their intended career. The SVGS Corner itself is the capstone project of this writer (Paige Pettry). It is intended to fuse her career interests in both chemistry and English, and it has been an exciting and motivating project for her to work on and see come together. Designing a project in this way allows a student to gain valuable professional skills and experience in an area he or she finds interesting. This also helps students determine what they are and are not interested in if they’re still unsure of what career field they wish to pursue in the future. The Senior Capstone Project is composed of two parts: a project and then a final product. Each project must culminate in a product that connects to a class the student currently takes at SVGS. The student also maintains a project log tracking their progress throughout the year. Students may also work in groups, which is what a group of six SVGS students have chosen to do this year. These students are working together this school year on Capstone Project focused on entrepreneurship. Earlier in the year, Lauren Highfield, Drew Bond, Isaiah Knopp, Sean Fridley, Anna Brule, and Hannah Chatterton took on the project of creating a business. When they began, they all agreed elements that they wanted in their business, but they were unsure of how to meld all of their ideas into a cohesive business. After meeting with a Debbie Irwin from the Staunton Creative Community Fund, the crew came up with the business idea of an environmental assessment for local businesses. This environmental assessment will be a way to gauge how environmentally friendly a business is. If a business passes the test, it receives a sticker it can display. The sticker will have the year printed on it and may be used as a marketing method for the business, as many people in the area care deeply about going green and wish to support a business that’s equally committed. The group of six decided to call their new idea the SVGS Green Initiative. The project has only just begun and is designed to be continued on into future years and passed on to different students. In fact, next school year, a group of students will have a specific class period devoted to working on the business. Their job will be to work out the details, such as finances, and jumpstart the SVGS Green Initiative. The SVGS Green Initiative fulfills the Capstone Project requirements for its current students. The business utilizes aspects of GIS (Geospatial Information Systems) and APES (AP Environmental Science); each student in the group takes at least one of these courses. The project also ties in career interests in the environment as well as in business. The final product of their project is the SVGS Green Initiative itself that will be passed on to next year’s students. Lauren Highfield says that business experience has been her favorite part of working on her Capstone Project: “I’ve personally never thought about starting a business, but when we met with Ms. Irwin from Staunton Creative Community Fund] . . . We learned what goes into finance, what goes into marketing . . . it helps a lot with collaboration.” Collaboration is also something Lauren says she enjoyed about her Capstone experience, valuing the unique collaborative effort she has been a part of throughout her time at SVGS. The SVGS Green Initiative is a great example of the hard work students put forth during their time at SVGS, providing them with the experience and knowledge to be prepared for their next steps following high school. 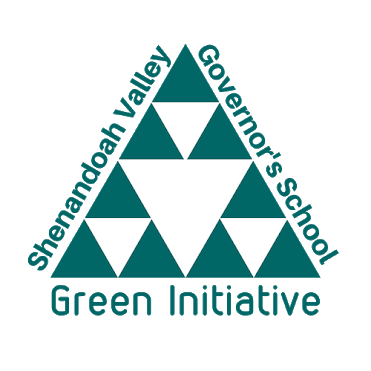 If you would like to learn more about the SVGS Green Initiative, the students have recently launched their site, found here, and you can also follow their Instagram page: @svgsgreeninitiative. Continue to check back here to read more about other Capstone Projects in the works at SVGS!